Kiraku-ryu (氣樂流) is a composite tradition including the use of the sword, grappling, chained-sickle, and more. Some of its secret teachings involve the Kuji, various mantra, accupressure, kanashibari spells, and so on. 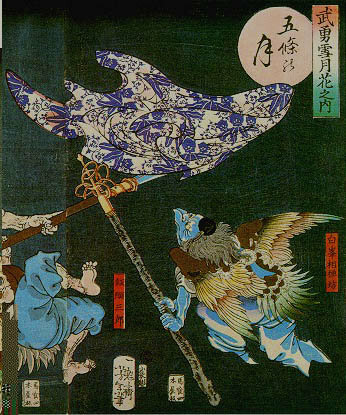 According to the Menjo (diploma; 免状) of the school (my source is written sometime between 1862 – 1870), the founder was Toda Echigo no Kami, though there has been research that suggests that this is not accurate: possibly Watanabe Mokuemon (according to Serge Mol (2001: 209)) or Izuka Garyusai Okiyoshi (according to Watatani and Yamada (1978: 233). The Menjo simply lists these individuals in it’s list of past soke, or reputable practitioners, along with short biographies of each. It is interesting to note that under the heading for Izuka Garyusai Okiyoshi it is stated that Kiryaku-ryu and Toda-ryu are one and the same and both founded by Toda Echigo. Similarly, there are a number of other members of the Toda family found in this listing including Toda Naiki Yoshinori (戸田内記義則) and Toda Hayato Yoshitoshi (戸田隼人義敏). Though not likely to be expressly related, for those following Sean Askew‘s work on the Toda family, I have added the passages regarding these two Toda’s (Some of the other headings discuss parts of the Toda family, but they are seemingly further off topic). Biography of Toda Naiki Yoshinori and Toda Hayato Yoshitoshi found in the Kiraku-ryu Menjo (1862 – 1870). Bisento from the Wǔ jīng zǒng yào (1040), vol. 13. An illustration of the Bisentō (眉尖刀) is found in the Chinese treatise, the Wǔjīng Zǒngyào (武經總要) compiled around 1040 to 1044 by scholars such as Zeng Gongliang (曾公亮), Ding Du (丁度) and Yang Weide (楊惟德), whose writing influenced many later Chinese military writers. It contains the earliest known written chemical formulas for gunpowder, made from saltpeter, sulphur and charcoal along with many added ingredients. In addition to formulas for gunpowder, the compendium contains details on various other gunpowder weapons such as fire arrows, incendiary bombs and projectiles, grenades and smoke bombs – all tools found both in common manuals of strategy and battlefield martial arts. It also describes an early form of the compass (using thermoremanence). Much later, this siege weapon appears in the famous Wǔbèi Zhì (武備志) is the most comprehensive military book in Chinese history. It was edited by Máo Yuányí (茅元儀 1594–1640~), an officer of waterborne troops in the Ming Dynasty. 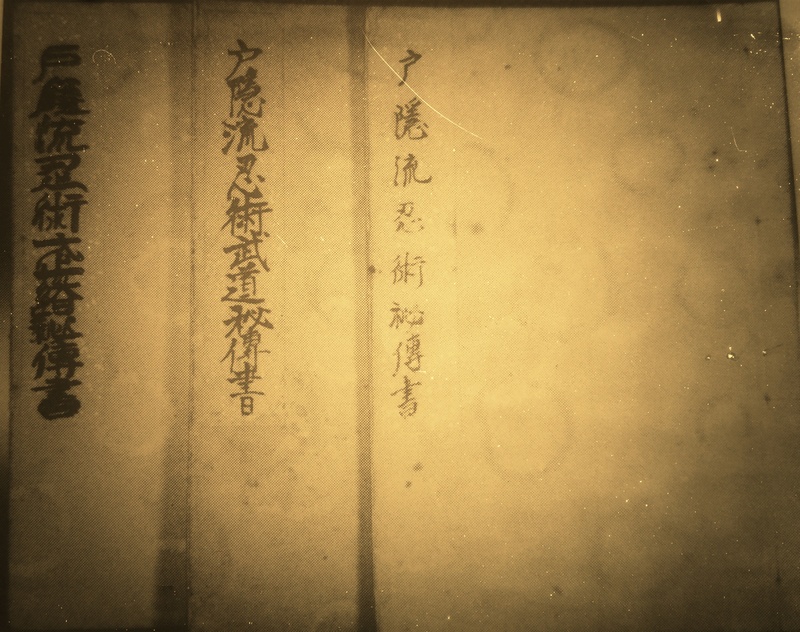 Wǔbèi Zhì contains 240 volumes, 10405 pages, and more than 200,000 Chinese characters, which makes it the longest book in Chinese history regarding military affairs. Being known as “a military encyclopedia in ancient China”, Wǔbèi Zhì is one of the most influential works in Chinese history on warfare. It is a rare source of some compass maps and designs and some weapons has contributed enormously to corresponding areas, and it also gives an account of ancient Chinese military theories and Chinese militarists’ thoughts. 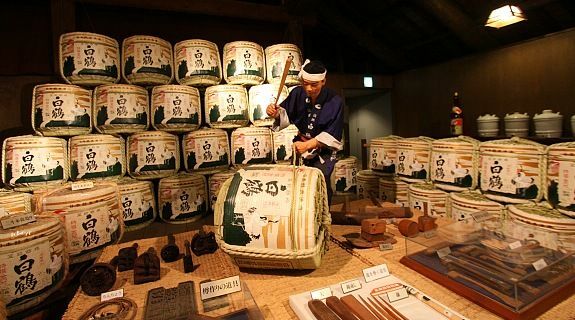 According to the Nihon Budō Jiten (日本武道事典), an encyclopedia and dictionary of Japanese martial arts related terms, the Bisentō can also be found in Okinawan Kobudō, in a tradition called Ryūe-ryū, where it is sometimes referred to a Chugoku Naginata (Chinese halberd; 中国薙刀). The founder, Nakaima Kenkō (1911-1988) learned Chinese martial arts from Xie Chongxiang, who was also known as Rū-rū Kō (1852-1930), who was the founder of Whooping Crane Fist. This system still has some exotic Chinese weapons, including the staff, trident, dual sickles, the rowing oar, the spear, and of course the glaive, which they call the Bisentō. In the Kukishinden-ryū, one of the nine traditions that the Bujinkan derive from, it is said that the founder, Izumo Kanja Yoshiteru revolted against the Imperial Regent Tadamichi Fujiwara during the Hōgen period (1156-1158) and escaped to a cave called Izumo-no-kuni Inome-dōkutsu (according to the Kukishinden Zensho). It is here that he is said to have been instructed in the bisentō by a Chinese Tang-dynasty martial arts master Tǐe zhàng Sēng (Jp. Tetsujō-ō 鉄杖僧). Currently, there are nine kata publicly taught in the Bujinkan regarding this weapon, each of which are demonstrated in Masaaki Hatsumi‘s video detailing Kukishinden-ryū naginata, nagamaki, and bisentō, as well as in his book, “The Essence of Budo“. Kukishin-ryū jōjutsu developed sometime during the Genna period (1615 – 1624) by the 11th Sōke, Okuni Kōgenta Yukihisa. The Jō-bō (杖棒) could in the old days sometimes had a stone or iron weight at one end. Because of this reinforcement, all our basic jōjutsu techniques today have two versions, so you can choose whether they wanted to strike with the reinforced end or not. During the latter part of the Edō period the jō-staff was more popular and at some point it was decided to remove the weight. 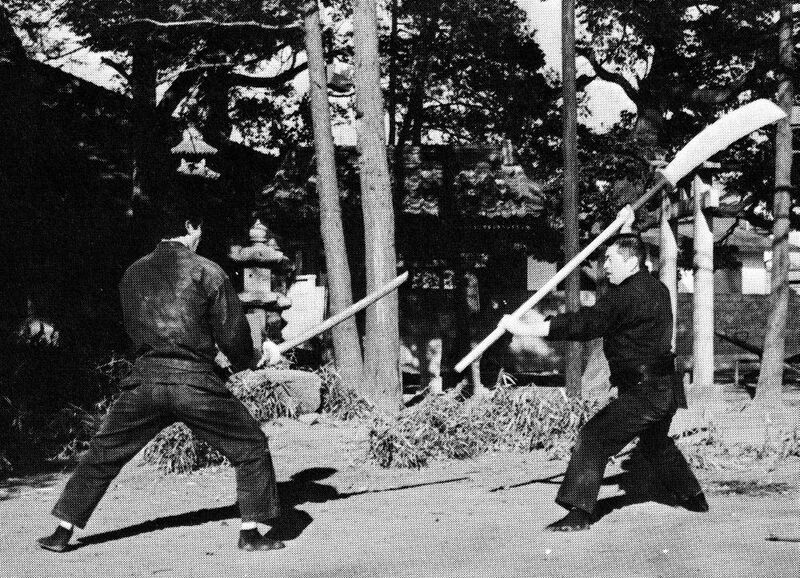 There are 3 types of jō-bō in Kukishin-ryū, the two most common are maru-bō (round staff; 丸棒) and Hakkaku-bō (octagonal staff; 八角棒). The third type is called Shaku-jō (copper staff; 錫杖), a rod that monks used on their hikes. Originally Kukishin-ryū jō-bō is about one shaku (feet, ie 30.3 cm) shorter than what one was long, (eg if you were 5 feet long rod was 4 feet (~ 120 cm) or if you are 6 foot-long rod was 5 feet long (~ 150 cm)) to compare to modern standards jō-bō which can be bought in store and which is 124 cm long. The staff diameter was usually 27mm (9 bu). There have been no details about the martial arts of the time described in writings or chronicles, and in some cases the chronicles are known to have been written by historians without connection to the martial arts. They also know of writings that disappeared and we have no detailed knowledge of what they contained. From the Chou dynasty (1122-255 BC) there is the Li Ki (Book of Rites; 禮記), which describes ritual duels and legends from ancient times. Chronicles from the Spring and Autumn period (722-481 BC) describes warfare with chariots (horse and carriage) instead of infantry (foot soldiers), and a defeated foe receives post-war assistance such as grants in the form of seed. Literature of the Warring States period (403-221 BC) describes ritual wrestling matches, demonstration of archery, fencing and horsemanship. Martial Arts and warfare are described as precious knowledge and performed in the highest propertied society. 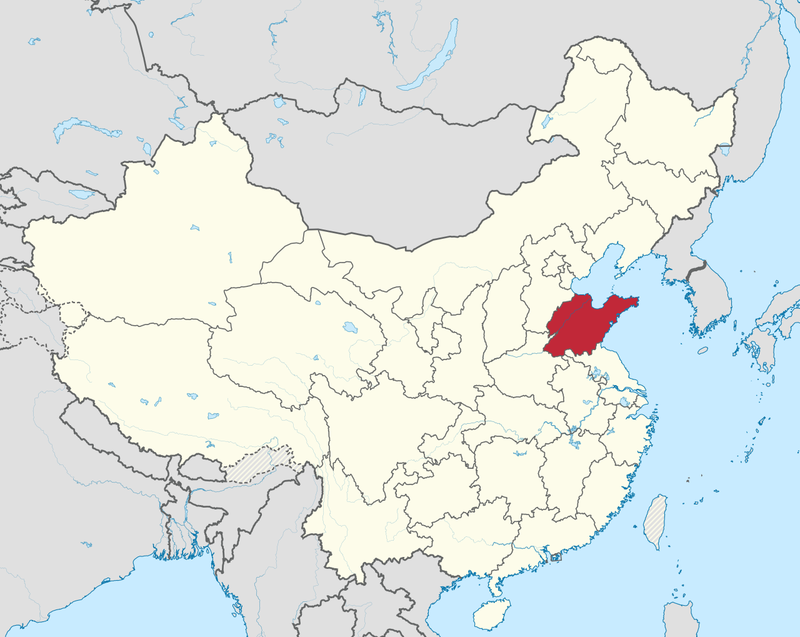 During the Qin and Han Dynasties (221 BC – 220 AD) Shuāi jiāo di (raw wrestling and dueling with fists; 摔角抵) was popular. It was organized competitions and the winner is given employment in the Imperial Life Guards (it covered many benefits, such as tax exemptions, etc.). The first description of Chinese boxing was in the “Han Books of Arts“. Its contents are unknown when the six chapters with description has been lost. This period marked the end of feudalism, which meant warfare and martial arts, moving from being a profession to only for the nobility. It was decreed that the imperial army was to train Jiao Di during the winter months, as well as the lance and swords, but not archery. During the Tang Dynasty (618-907 AD) martial arts was to be a must in the young men’s upbringing and they were put to practice horse riding, archery, lance, and sword in parallel with Confucian texts. Army officers were trained in the Tang Dynasty military institutions and regiments. Where one learned the “Eight elements of the battle formation“. It was a setup for the battle that was formed by eight units and named as Sky, Earth, Wind, Cloud, Dragon, Tiger, Bird and Orm. A form of tactical feng-shui in other words. Sun Tzu’s “Art of War” was studied by everyone. According to historians monks from the Shaolin Temple in Honan province have helped the second emperor of the Tang dynasty – Li Shimin – to defeat the enemy Weng. This led to a fighting art that was spread further and above all to the Shaolin Temple and became famous for its boxing. Sometime in the 530s, the monk Bodhidharma (japanese: Daruma) come to Shaolin and there founded what later became the famous Shaolin Wushu. Again, it is a myth and it is more likely that it was scarred war veterans who had “retired” in the monastery and developed it. It is from this time that the roots of our Kosshijutsu and Koppōjutsu originated. However, we can not currently find any kind of contemporary Chinese martial art that has some similarities with Kosshi- and Koppō methodology. Either the Chinese martial arts changed over the years or it is Kosshijutsu that has changed.